Fill out this form and I'll get back to you. 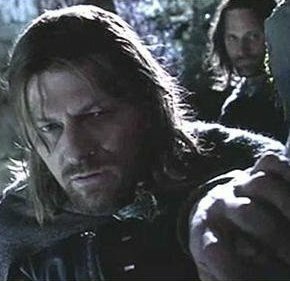 From the moment I saw the scene between Aragorn and Boromir in Rivendell by the Shards of Anduril, I was hooked on the chemistry these two shared. Boromir's death scene, 'My brother, my captain, my king', made it even more real to me. Truth to tell, I've never liked the Aragorn & Arwen relationship. 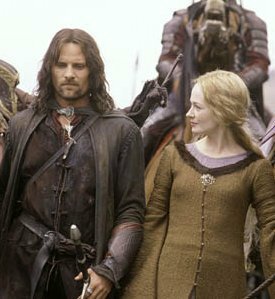 From the first I heard of it, I've always preferred the Aragorn & Eowyn relationship. To me, these two seem to share a bond that is missing from the Aragorn & Arwen pairing.